The design of our profiles begins with end-use assessment. Compounds are customized to meet tolerance requirements and produce a seal or gasket for the demands of your unique application. In-house compound mixing for silicone extrusions improves speed-to-market and quality control. Our sister company LMI Custom Mixing offers material expertise for virtually any type of rubber or plastic. Profiles are optimized by application engineers who leverage our tool and die capabilities, material experts and full-scale testing laboratory. We can compound seals and gaskets to meet stringent material requirements. Our custom extrusions can be applied to nearly any application requiring optimum performance. Our sealing systems equip you with all the tools you need to ensure success. 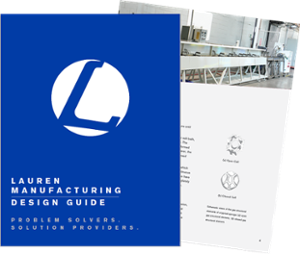 In fact, Lauren can solve most any sealing problem that you may encounter.